It’ll Make Me Faster… Right? My thought process is usually pretty scattered for those that don’t know me well. 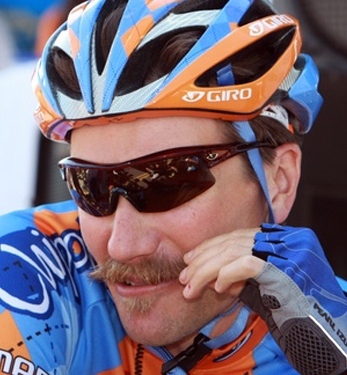 So here’s how it played out in my head… “I see a lot of other cyclists who are fast with their legs shaved. I’ve never shaved my legs before, I’m not sure about this. It can’t be as bad as shaving my face, which I hate. 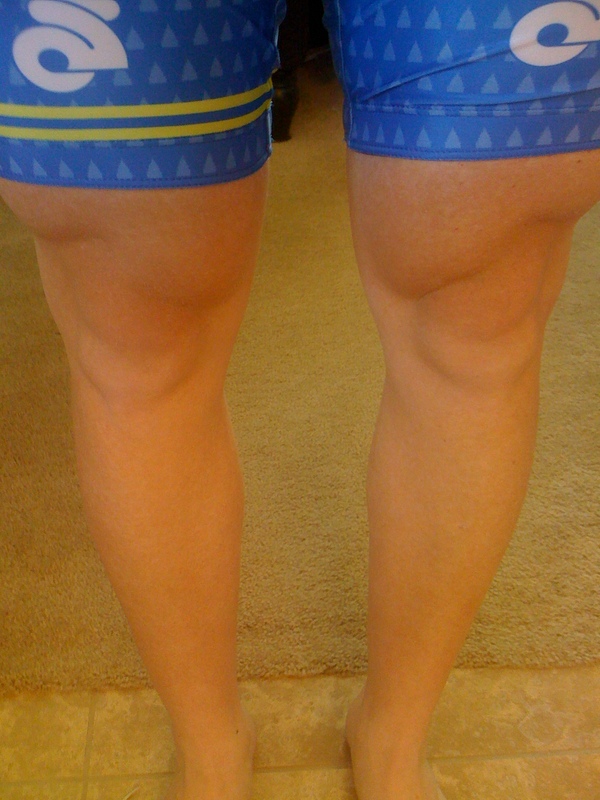 I’m really tired of how my cycling shorts look with little hairs sticking out. I need to clean the bathroom anyway. I already have a razor and shave cream. Ahh, what the heck, it’s certainly not any crazier than suiting up in lycra and riding my bicycle for 5-6 hours.” You see, I’m fairly simple. So I pull some instructions (not that I really needed instructions on how to shave, but found a good tidbit on using clippers the first time, then shave with a razor). Holy moly! I just thought my legs weren’t hairy. After using the clippers I was proved wrong. The whole process itself was pretty simple, and didn’t hurt. I gingerly shaved around the knee as a lot of people said it’s tricky, I guess they’ve never shaved their face before. I’ll save any gory details, because I like the fact that you read my blog and want to keep it that way! No, not that 4-0. The 4-0 as in that’s how much weight I’ve lost! The journey started last year when Jillian and I became frustrated with our sedentary lifestyles. We both decided to eat better, become more active, and do this thing right. I ended at the year mark losing 35 pounds. The latest 5 pounds have been more of a challenge and has taken a little longer. I think part of the issue for me is to continue to strength train and build muscle yet continue to shed fatty weight. Although I still have some pounds to go before I reach my ideal weight I’m feeling great. I’m now watching my body fat percentage a little more closely, and due to humiliation I’m not going to post it… yet. Let’s just say it’s not where I want it to be! The total weight loss now puts me at 168. I’m still trying to think of the last time I saw the 160’s. My guess is it has been since right around the time we got married 7 years ago. I stole the idea for the picture from a friend of a friend. 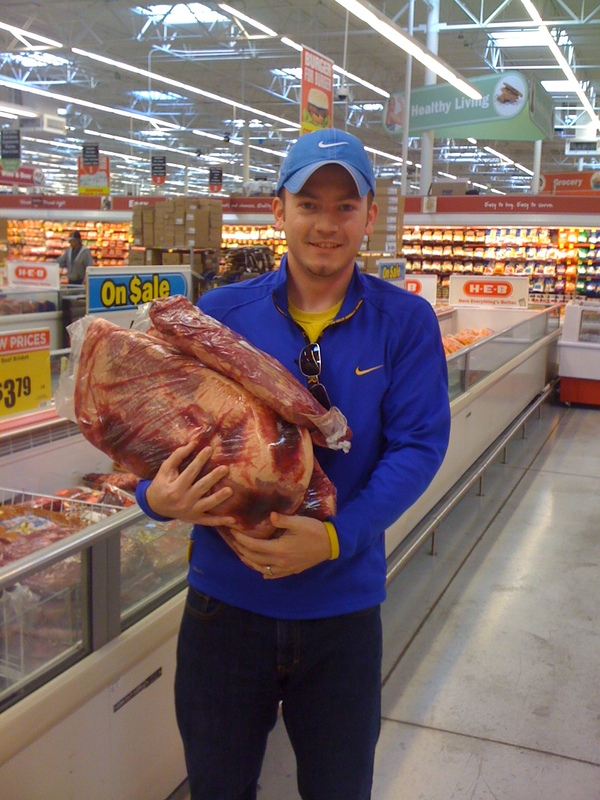 It’s me holding 40 pounds of brisket at HEB. Gives a great visual representation of the weight that’s gone. I can’t even imagine cycling or running carrying that with me! Anyway, here’s to choosing a healthy lifestyle, eating more fruits and veggies, less red meat and being more physically active. 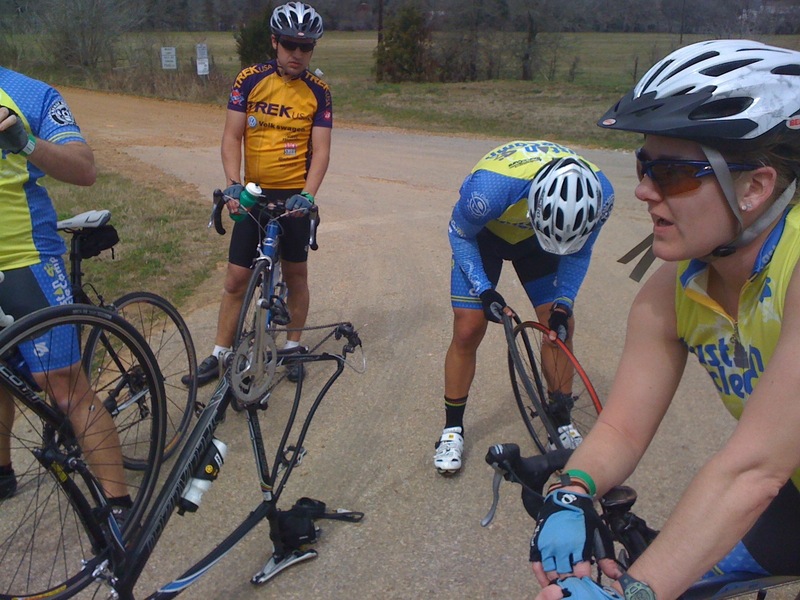 So last Sunday afternoon I hooked up for a ride with my buddies Matt & Luke. We were in the mood for a leisurely stroll as neither of them are big cyclists (yet) and I wanted to get some miles. I decided I would ride to Matt’s to add some extra distance. 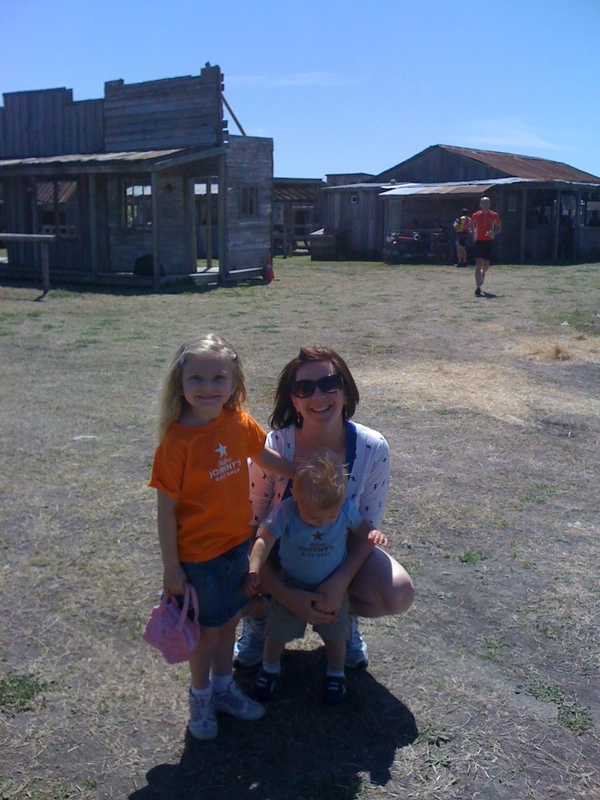 7 miles in the headwind later, I arrive and the three of us head off. 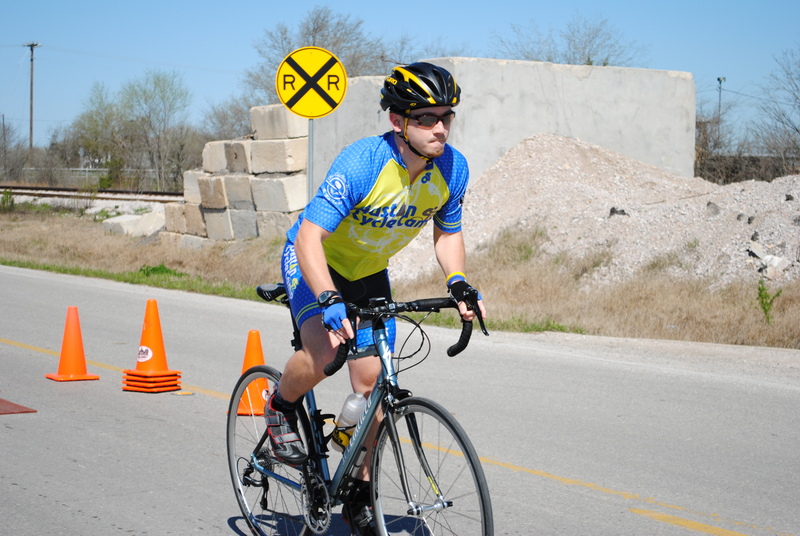 Luke is a very physically active person and last year did the Rookie Tri. 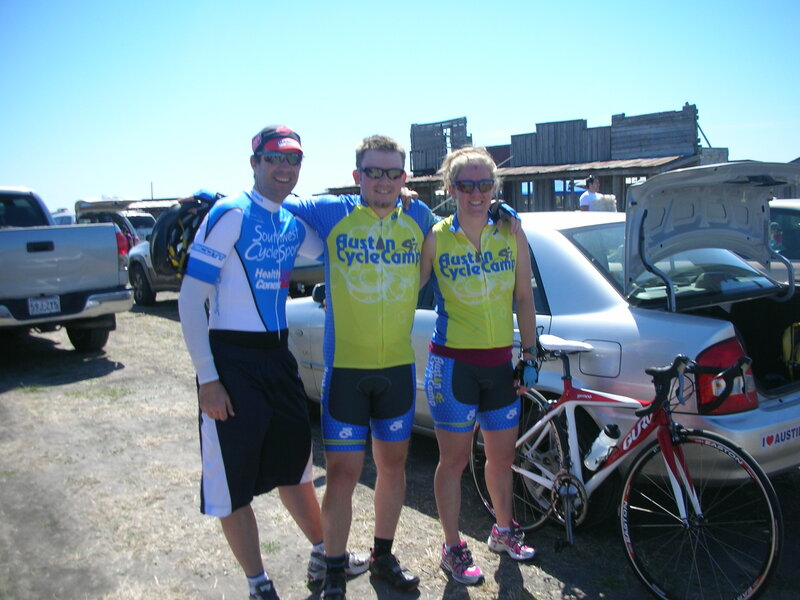 We were enjoying the ride and talking about how Matt & Luke both rock at running, and how I had just taken up swimming again. 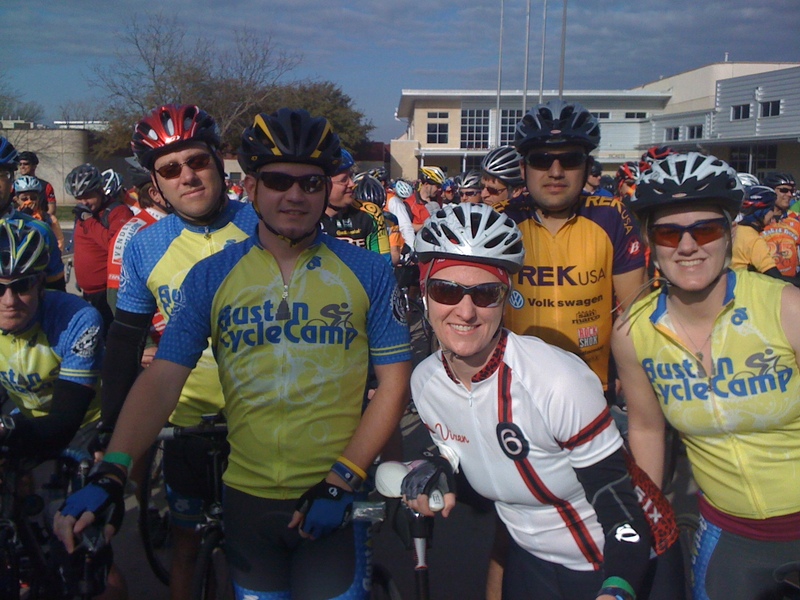 At some point during our ride, we all came to the conclusion that we would go home and all register for the Rookie Tri. Which after I got home, I did. Crap, did I just do that? There’s no backing out now. Fortunately for me the stats for the Rookie aren’t too bad. It’s a 300m open water swim, 11 mile bike ride, and 2 mile run. The bike and run I can do in my sleep. The date is May 9th, so that gives me plenty of time to remember how to swim adequately and to continue to work on my form. On that note, the swimming is actually going ok… I have to keep reminding myself that I’m not trying to sprint, just endure. 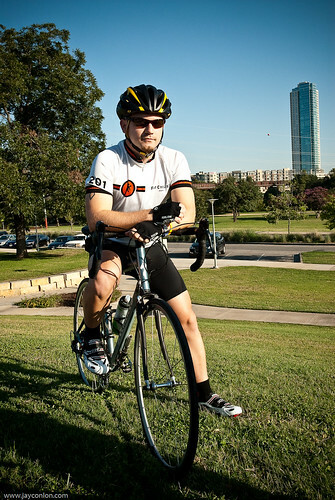 I’ve gotten some great pointers from some of my Tri friends including Iron-Man Gustavo who owns VO2TC. I feel more comfortable now since I’ve done several brick’d workouts, and think I’ll be able to juggle adding runs and swims to my weekly regimen while maintaining cycling as my predominant form of calorie burn.